They call me Daniela: Aaron's visit...headed to the coast! Aaron's visit...headed to the coast! 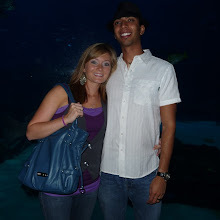 Aaron has now been here one week and we have been busy, but have enjoyed our time together. 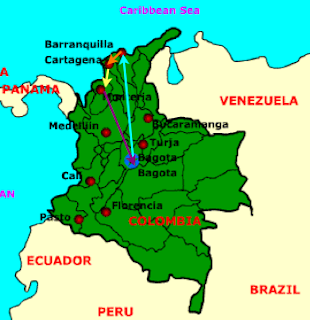 On Monday we head out from Bogota to visit the coast. We'll be traveling by bus. 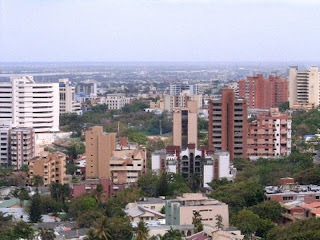 It is 18-20 hours from here to our first destination: Barranquilla. We'll be visiting the UCU group there and doing some video filming for the up-coming 40th anniversary of UCU in June. 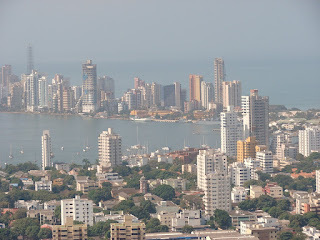 From there we take a 2-hour ride to Cartagena. 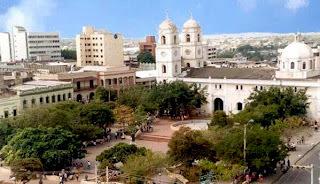 Cartagena is the city we will potentially be moving to after we are married and so we are going to see the possible language-schools as well as cost of living and the school where the LAM may place us. After that we take another 2-3 hours to Sincelejo which is a bit inland and VERY hot! We are visiting some fellow-LAMers there and will be receiving pre-marital counseling from Connie Befus. From there, we head home and will arrive in Bogota on the 9th. 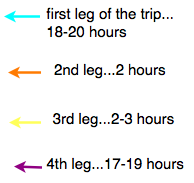 Its going to be a long drive, but we are looking forward to the time together and a break from the cold cold rain. The coast averages 75-85 degrees year round with 90-100% humidity and no air conditioning. Believe it or not, even that extreme heat will be a welcome change to my 50-degree, no indoor-heating, constant rainy Bogota. That sounds like some crazy riding BUT I know you guys are loving being together! I'm praying for you both! Love you!! !